PEAK PERFORMERS: Feb. 13, United States. 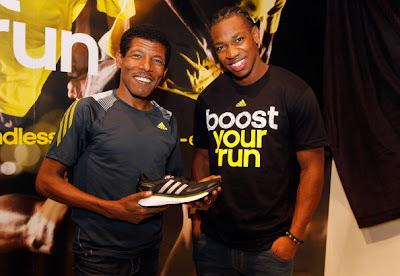 Jamaica's Yohan Blake was in New York earlier this week for the unveiling of the Adidas Energy Boost sneaker at the Jacob K. Javits Convention Centre in New York. 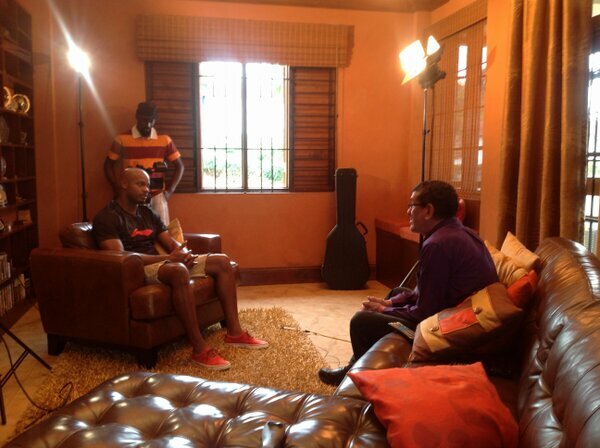 Here, the world champ shares a photo-op with Ethiopian long-distance runner Haile Gebrselassie. ALL TOGETHER: Feb. 13, United States. Blake also found himself surrounded by famous young Hollywood talents like, from left, actors Anton Yelchin (Like Crazy), Nikki Reid (The Twilight saga), Maggie Grace (Taken), Rosario Dawson (Sin City) and Marena Baccarian at the Adidas event in NYC. UP CLOSE AND PERSONAL: Feb, 13, St. Andrew. Inviting a film crew into his swanky Beverly Hills home in upper St. Andrew recently, sprint star Asafa Powell sat down for a revealing and exclusive interview with Simon Crosskill, which aired this past Wednesday evening on SportsMax. FLYING SOLO: Feb. 10, United States. 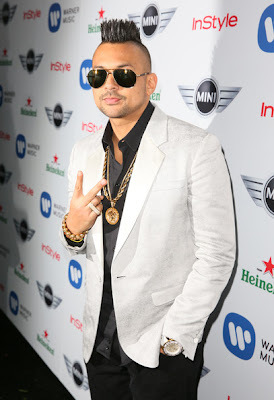 A Best Reggae Album nominee for his latest effort Tomahawk Technique, Sean Paul is seen here arriving at the Warner Music Group's 2013 Grammy after-party celebration at the Chateau Marmont in Los Angeles. This year's Best Reggae Album award went to Jimmy Cliff for Rebirth. FRAME OF MIND: Feb. 7, United States. 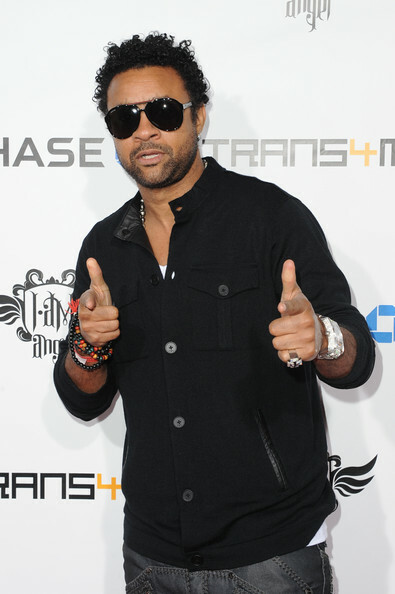 Ever lending his support to worthy and charitable causes, Orville 'Shaggy' Burrell recently put in an appearance at his friend and fellow musician Will.i.am's annual Transam concert benefitting the I.Am.Angel Foundation in Hollywood, California.